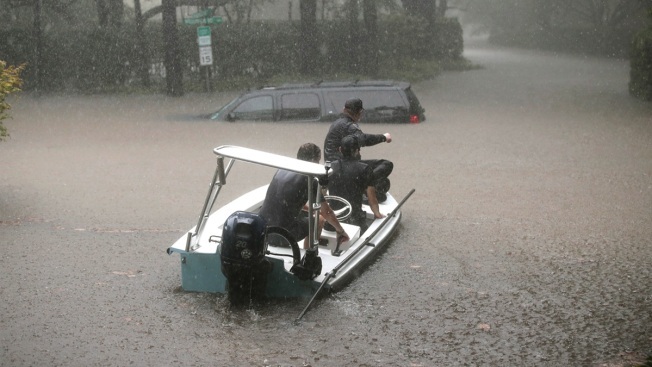 Volunteers and officers from the neighborhood security patrol help to rescue residents in the upscale River Oaks neighborhood after it was inundated with flooding from Hurricane Harvey on Aug. 27, 2017 in Houston, Texas. The University of Tampa has fired a visiting assistant professor who suggested in a tweet that Hurricane Harvey's destruction is "instant karma" for Texas because it voted Republican. Sociology professor Kenneth L. Storey posted the tweet and two responses on Sunday before removing the entire thread and his profile photo. University spokesman Eric Cardenas said in a statement Tuesday that Storey was fired after the school weathered an outpouring of online outrage over the comments. The Tampa Bay Times reports Storey issued an apology on Monday, writing that he "never meant to wish ill will upon any group." 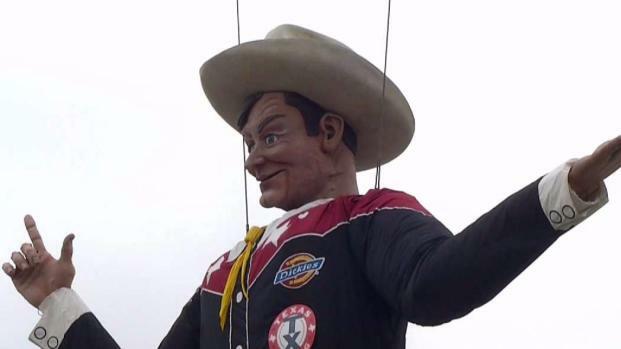 It's perhaps the best time of the year for many North Texans -- welcoming back Big Tex! Because that just means the State Fair of Texas is right around the corner. In a Facebook post on Monday evening, the university said it "stands in solidarity with the people impacted by Hurricane Harvey." Officials said another sociology professor will take over Storey's classes.